You can add a watermark logo to your image, slideshow or even video galleries. A watermark is your first line of defense when it comes to unauthorized use of your galleries by someone who discovers it on the web. It also offers a great way to market your organization: the more times a viewer comes across your logo over a great photo, the more it will positively reflect and build your brand. First you need to have a URL that leads to your logo image. Once you have that, you can add the URL to your image/slideshow gallery Premium settings. Go to My Galleries page and click “Edit Gallery“. On step 2 click on “Watermark” tab. At “Watermark image URL” add your URL that leads to your logo image. 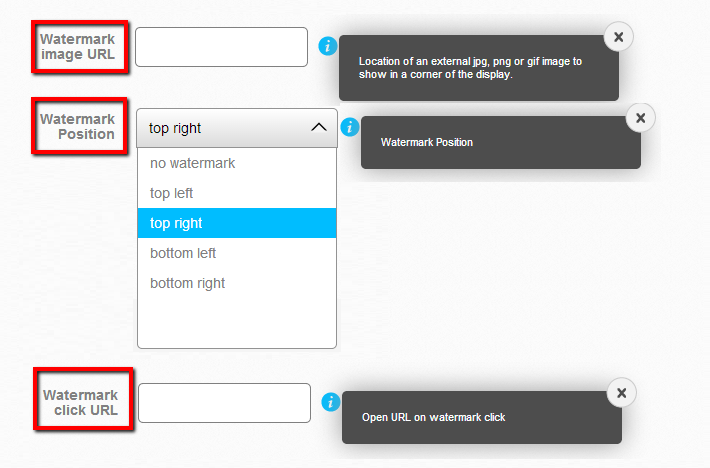 At “Watermark Position” you are able to set position where to be displayed on gallery. 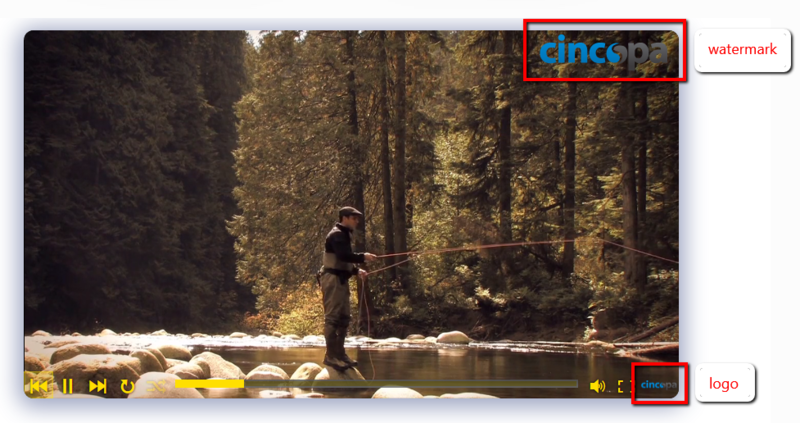 At “Watermark click URL” you can add an external URL when click on logo. On step 2 click on ‘Player Logo‘ tab. 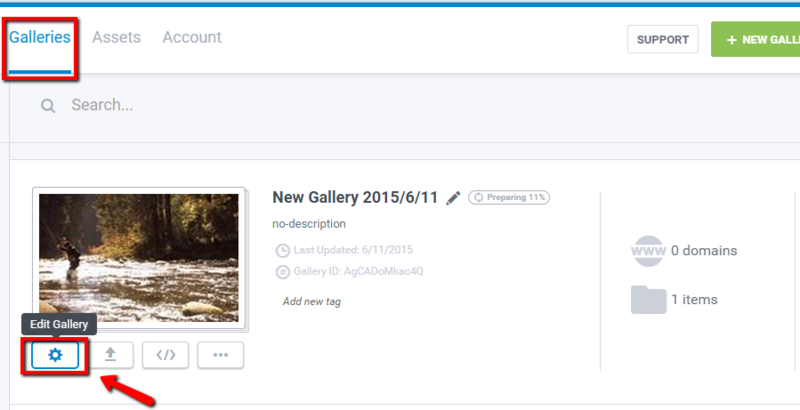 At “Logo Position” you are able to set position where to be displayed on gallery. At “Logo URL” add your URL that leads to your logo image. 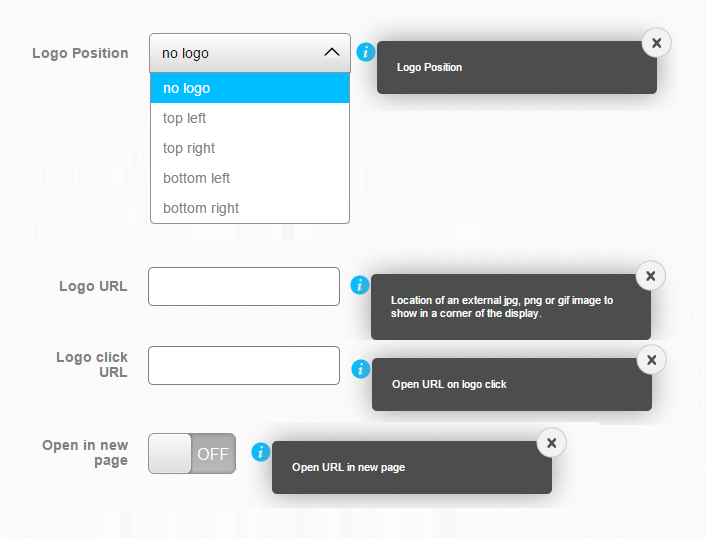 At “Logo click URL” you can add an external URL when click on logo. “Open in new page” ON/OFF allows you to choose either to open logo in same tab or new tab. NOTE: You can always click “Preview” to check changes. Was this page helpful? Your feedback helps improve this site. Thank you! Any other feedback?